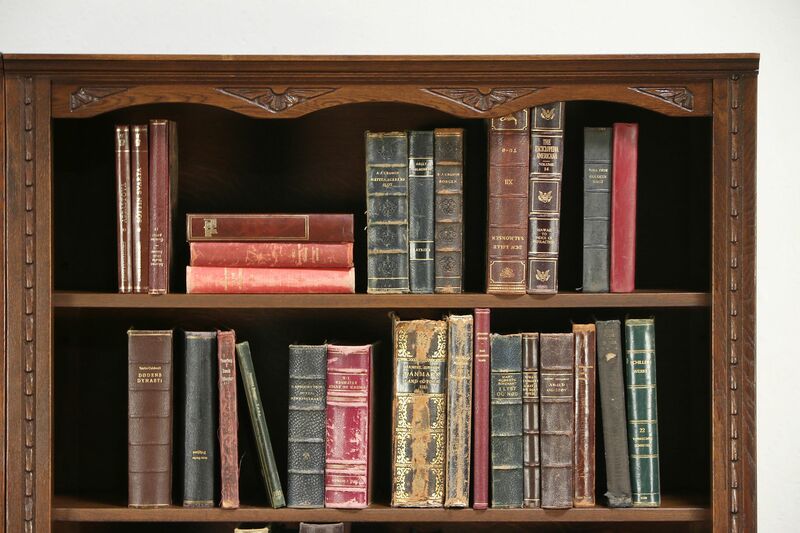 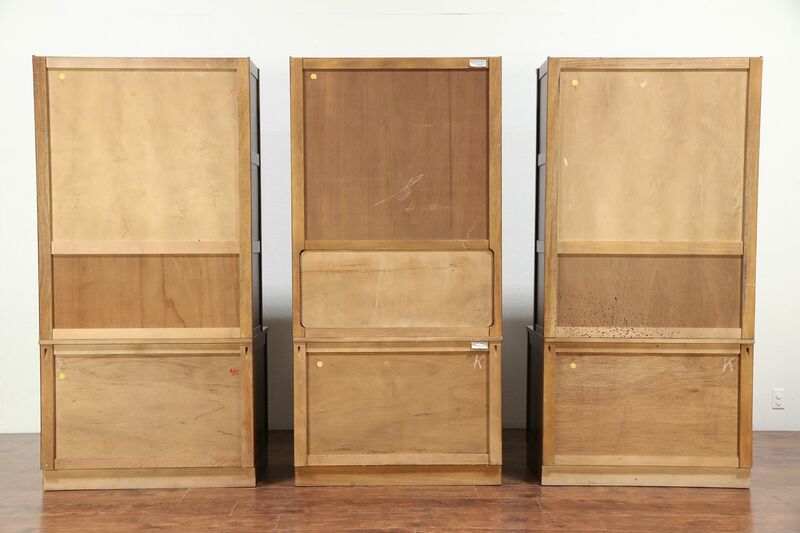 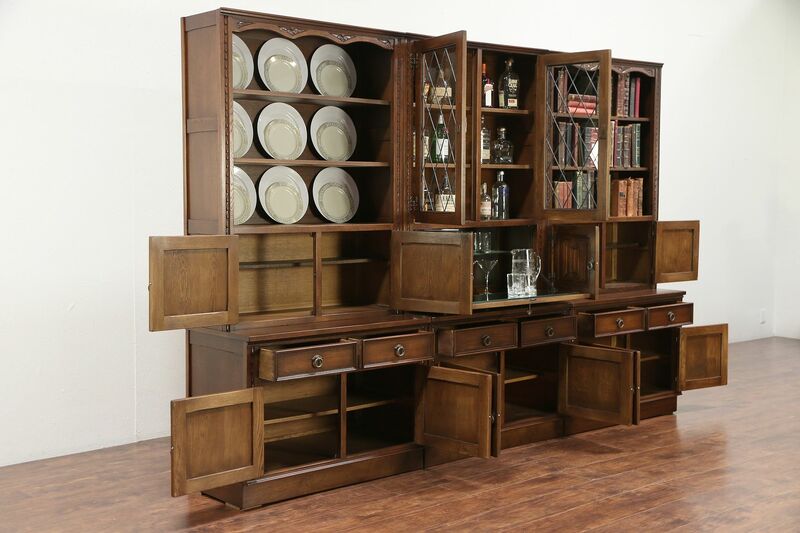 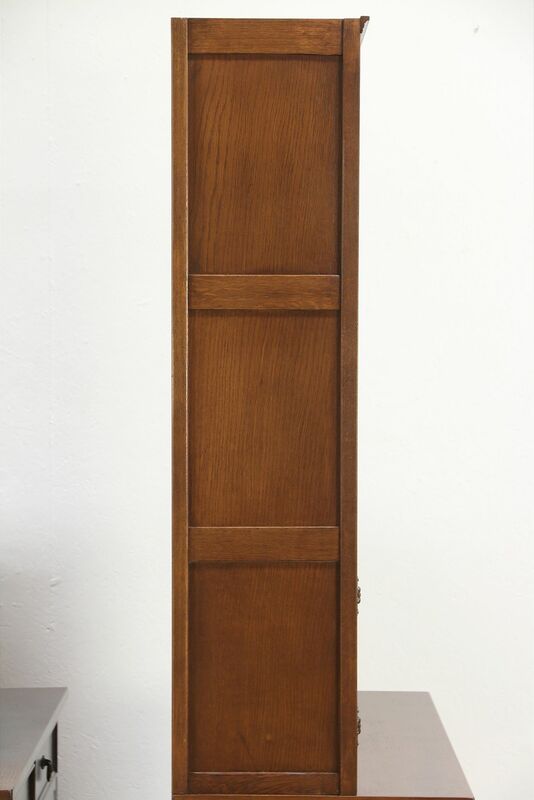 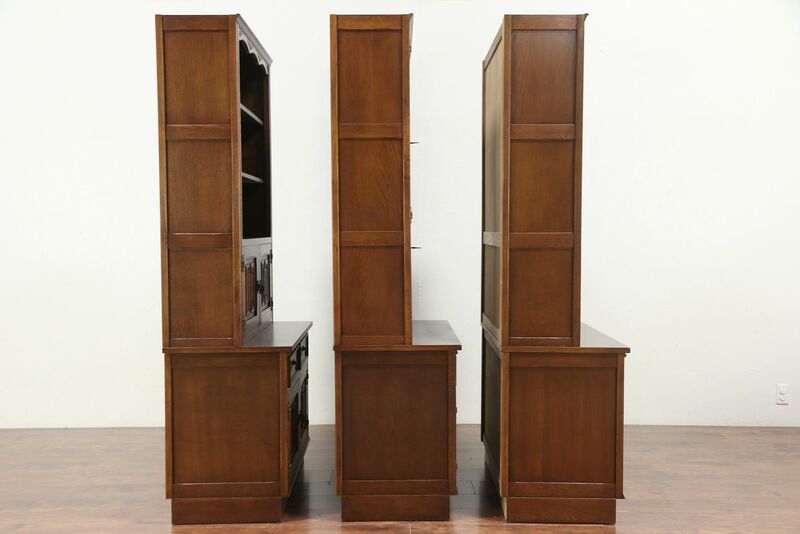 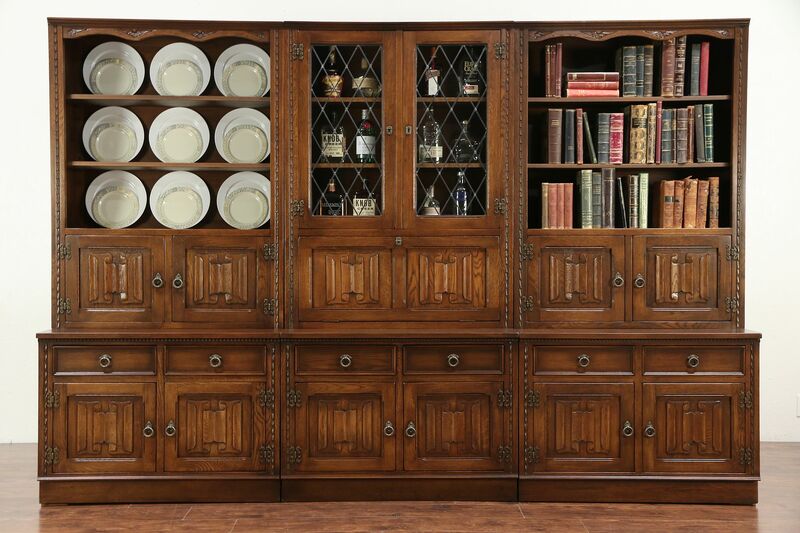 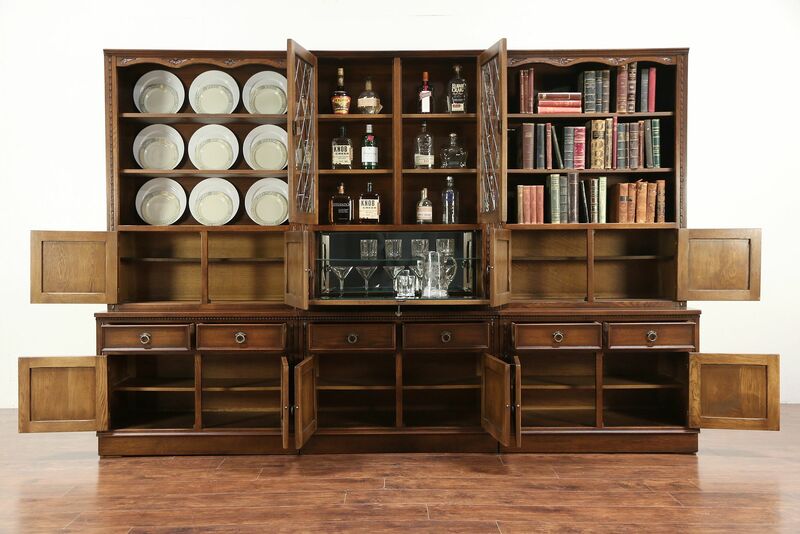 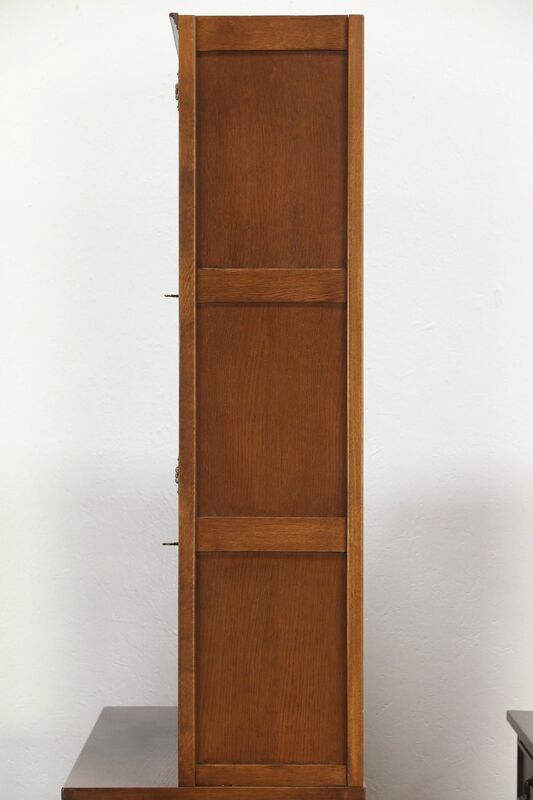 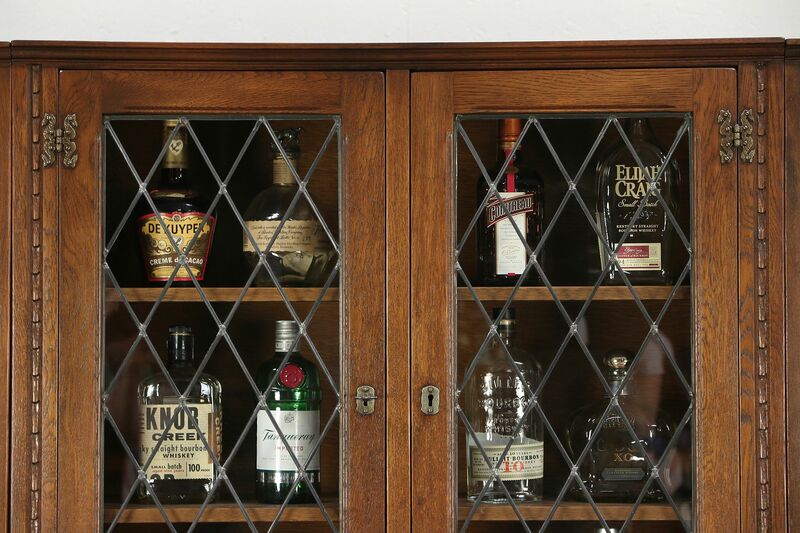 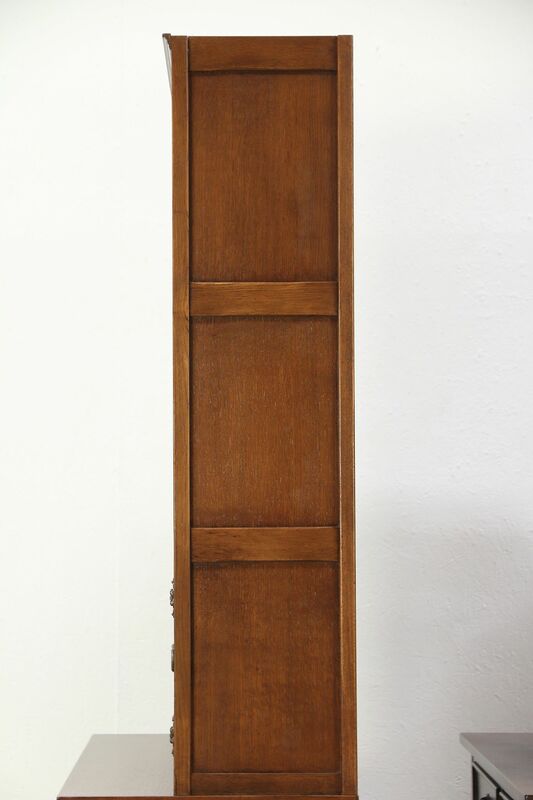 Carved of oak with leaded glass doors, this modular bookcase wall is comprised of three top sections plus three lower cabinets. 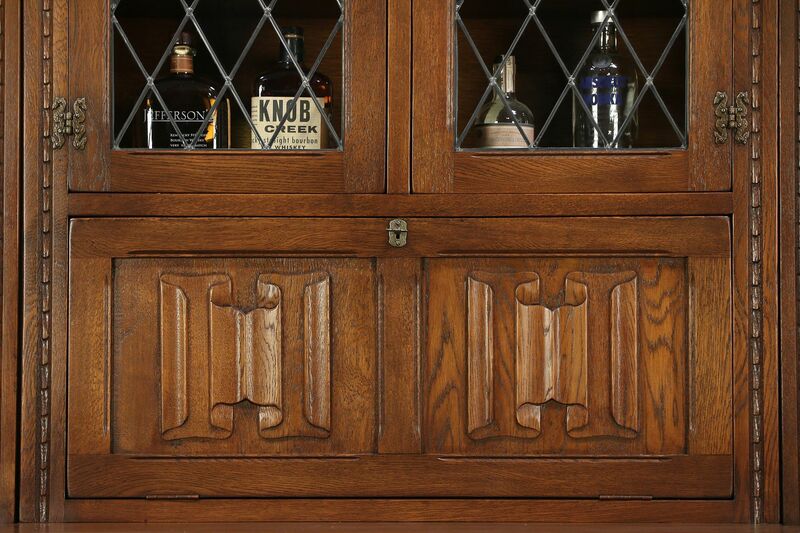 There are carved "linenfold" panels and leaded glass doors. 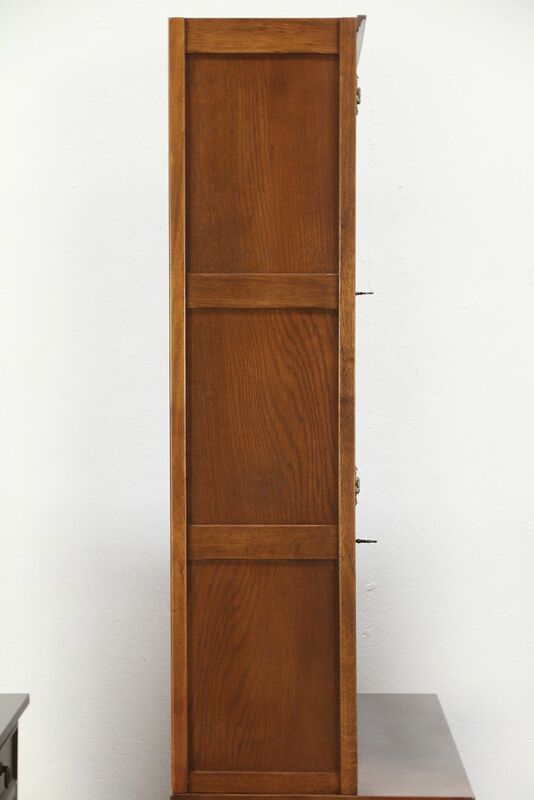 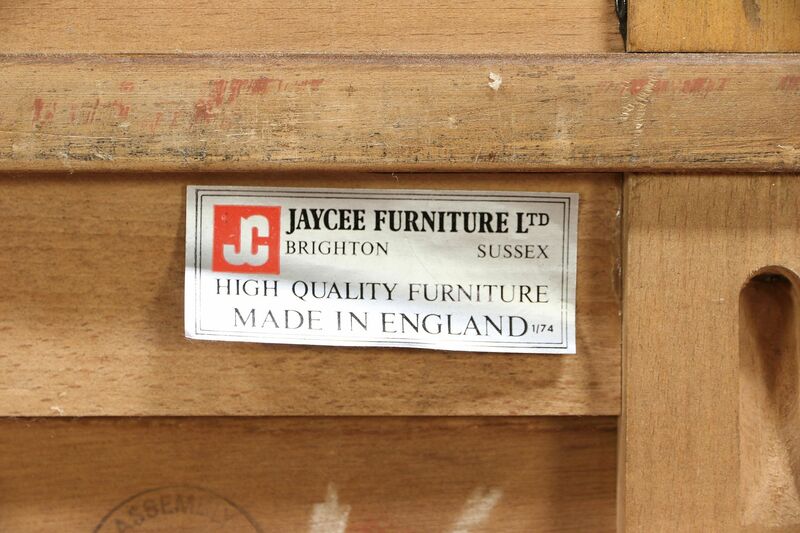 Dating from about 60 years ago, the signature reads "Jaycee of Brighton and Sussex, England." 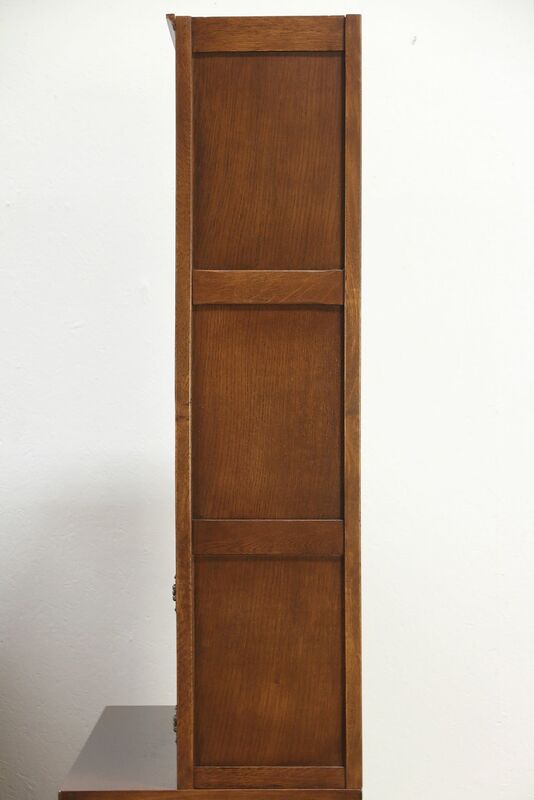 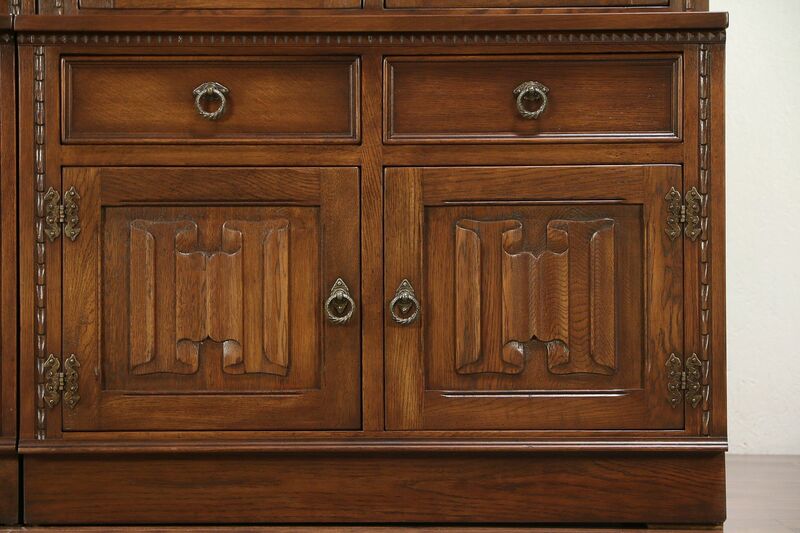 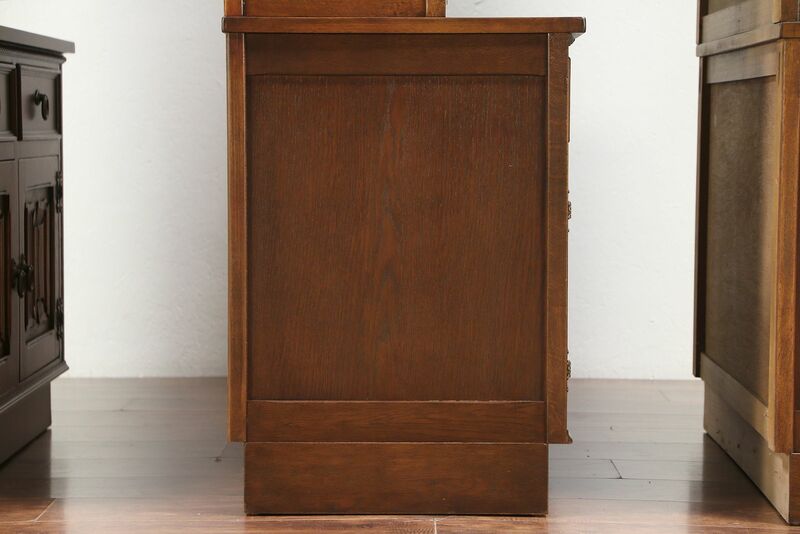 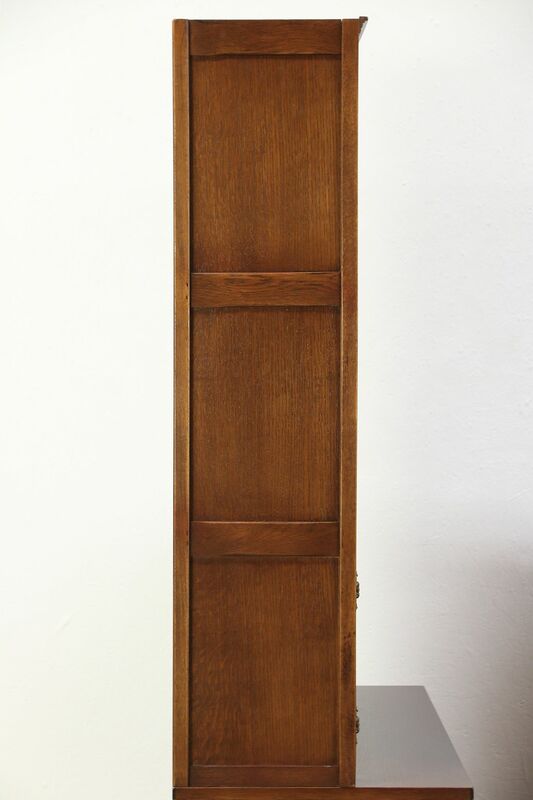 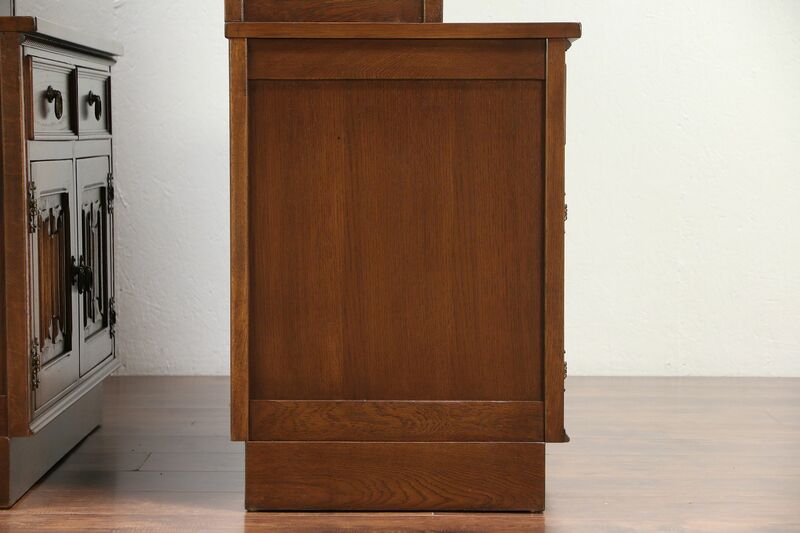 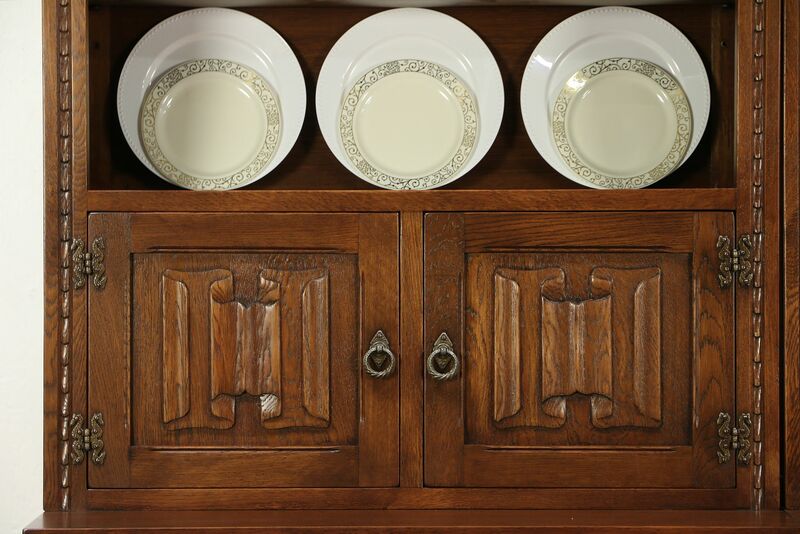 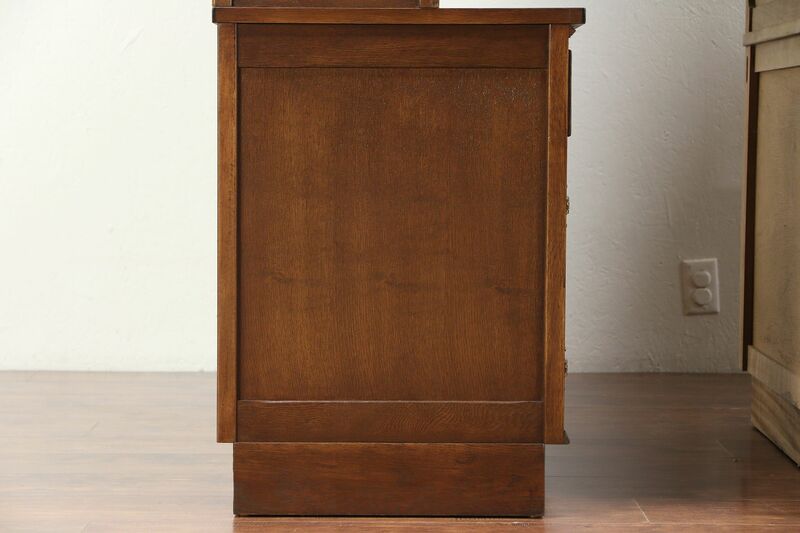 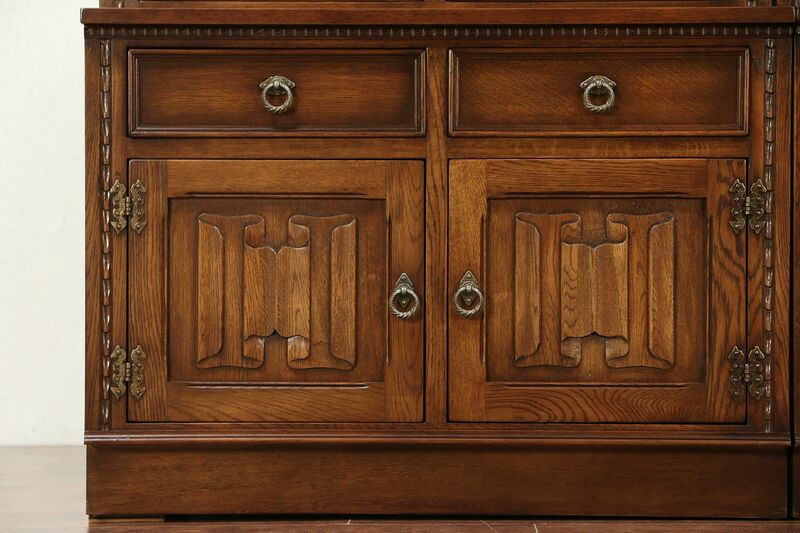 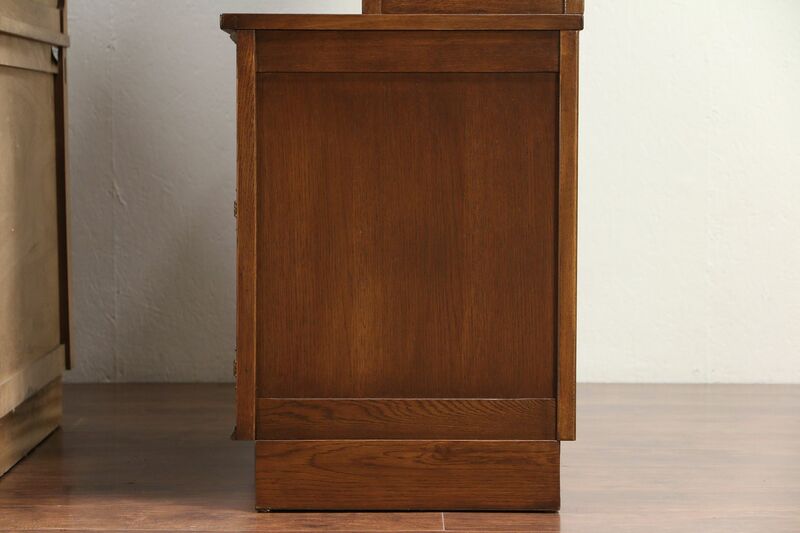 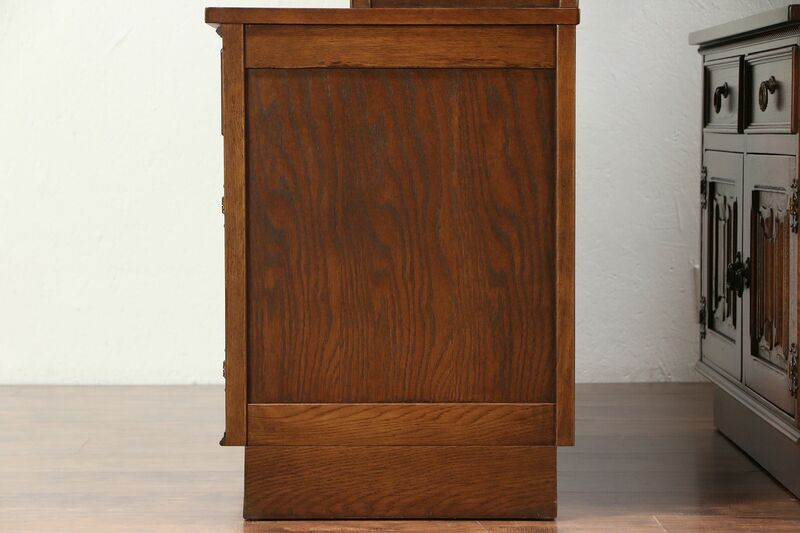 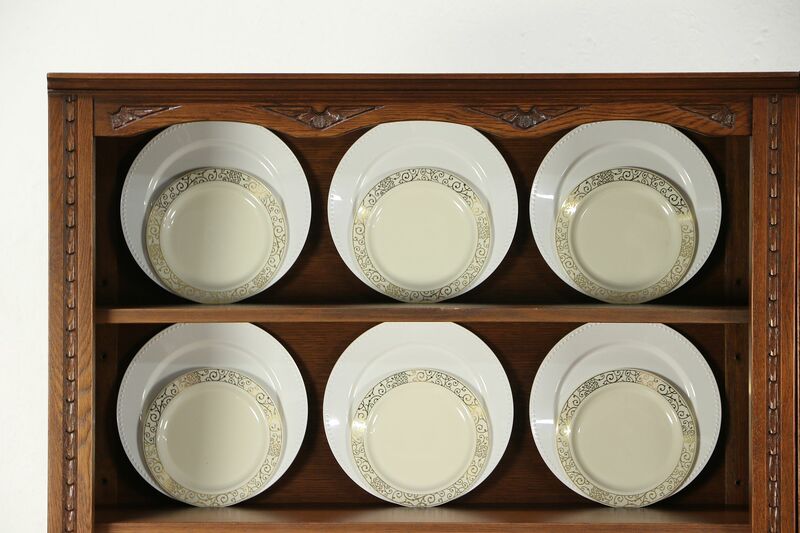 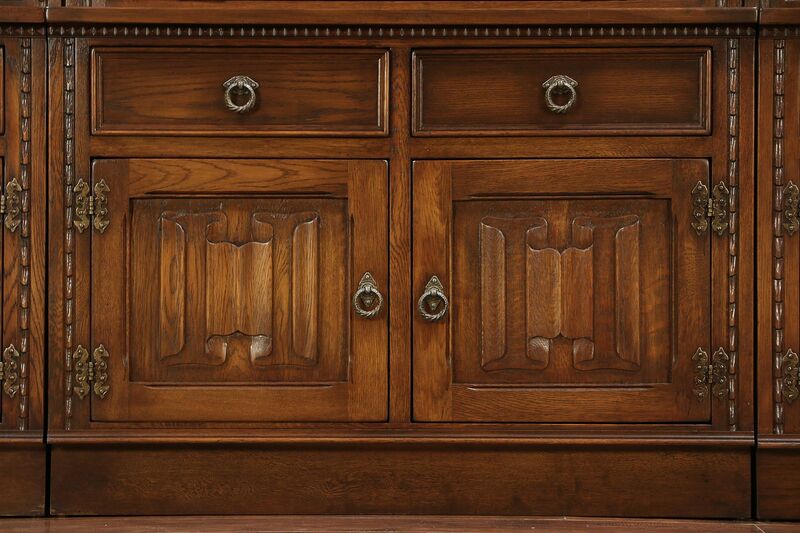 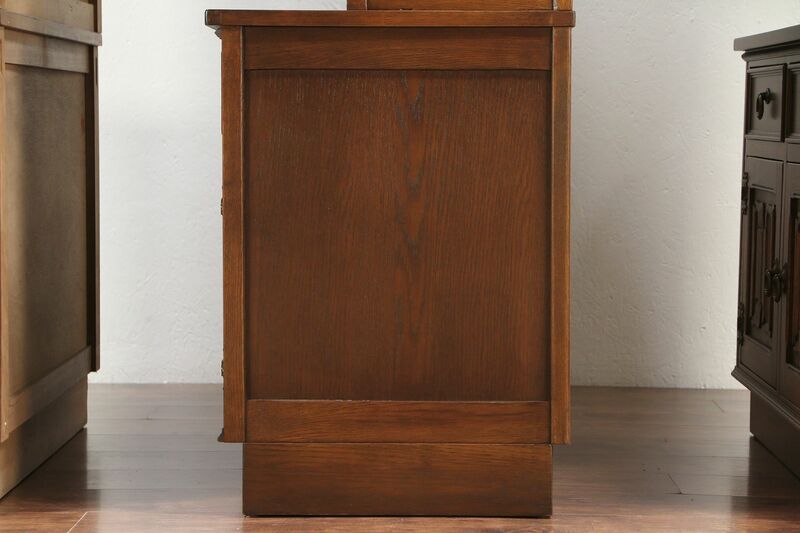 The restored finish is in excellent condition on this vintage furniture. 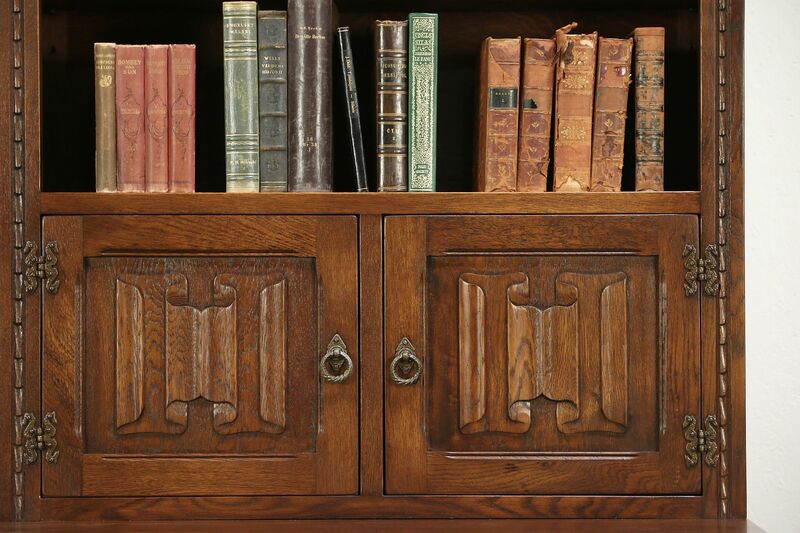 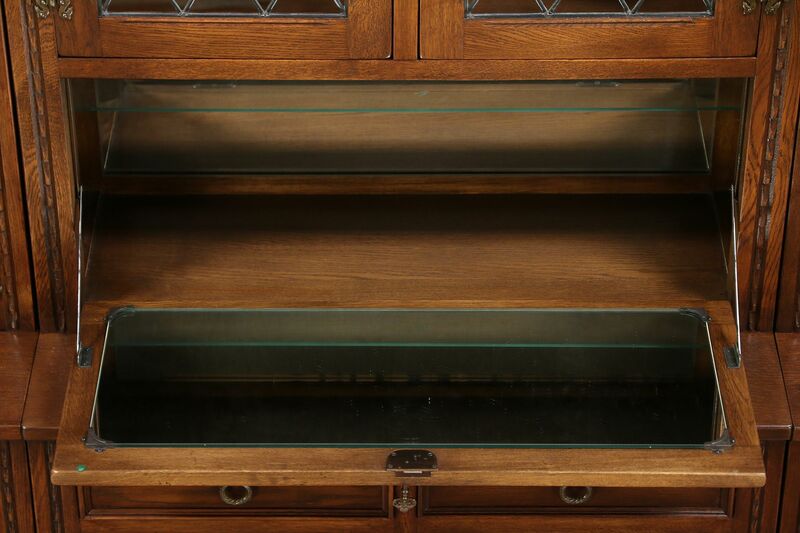 Wrought iron hardware is original, shelves are adjustable and door locks work. 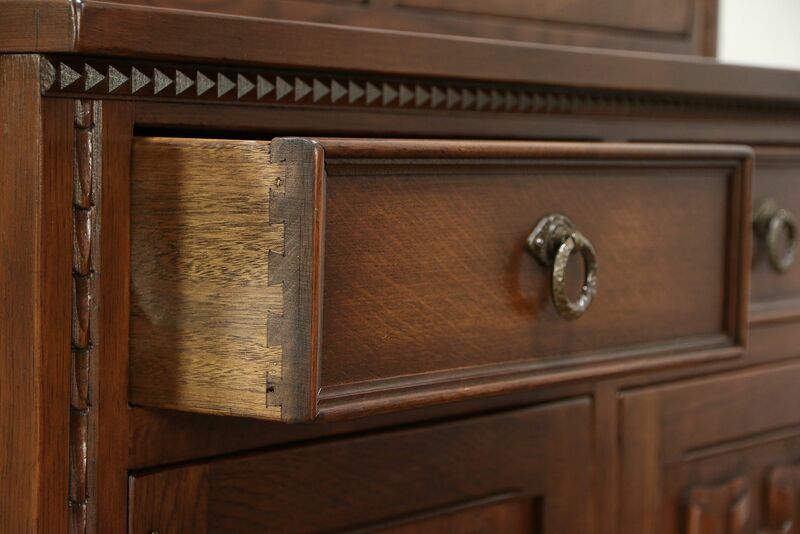 Drawers have dovetail joints. 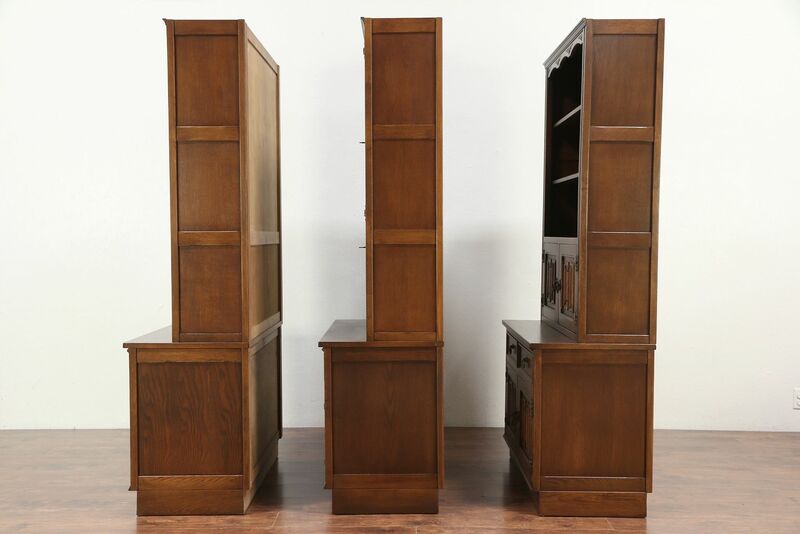 Each section measures 37 1/2" wide, 20" deep and 76 1/2" tall, total width is 9' 4."